Welcome to Woodfield Lexus, where our guests are as special as our cars. We invite you to come to Woodfield Lexus and engage in the Lexus experience. 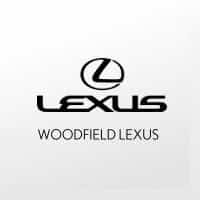 Whether you come in to drive a new or Certified Pre-Owned Lexus or get help with Lexus financing, leasing, Lexus car service, you will see how Woodfield Lexus gives you the service you deserve. Be sure to take a look through all of the specials on new Lexus cars we’re offering and specials on pre-owned Lexus cars. We’re looking forward to hearing from you soon so contact Woodfield Lexus today!